Friday’s are the always the best partly for the amount of new music that always comes out. Today, Chicago house native Gianni Blu returns to the airwaves with a new single titled, ‘Late Night Vibin’. On the track he features R&B vocalist D.Lylez. The combination of the two meshes quite well, creating a vibey new single. In the past, we’ve seen Gianni release bouncy and upbeat singles perfect for the dance floor. This time around, the house producer has gone in a bit of a deeper direction. The tempo of ‘Late Night Vibin’ is much slower and intimate than his previous tracks. The vocals are catchy and addictive, with a downtempo, yet rhythmic beat throughout. The track definitely gives off a lounge vibe, appropriate for any “late night”. The track also shows off Gianni’s range in production, further proving the house producer’s growth in production. 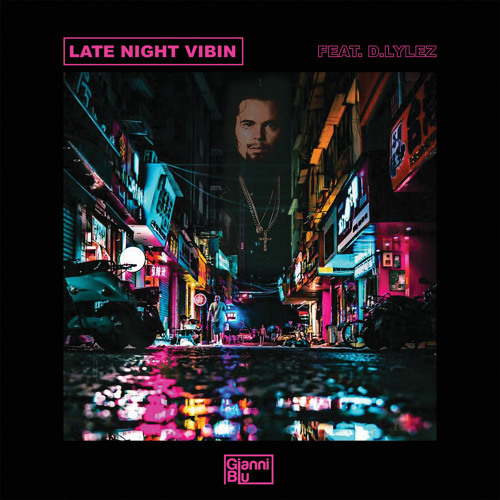 If you need a track to chill out to, or sip some whiskey on the rocks to, ‘Late Night Vibin’ is the perfect track. Check it out below and let us know what you think of it.